We’re entering the final chapter of the Nike LeBron 12. 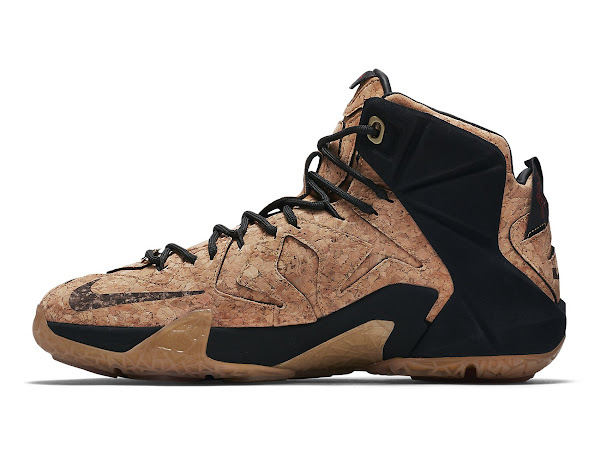 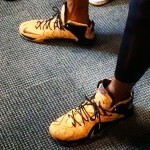 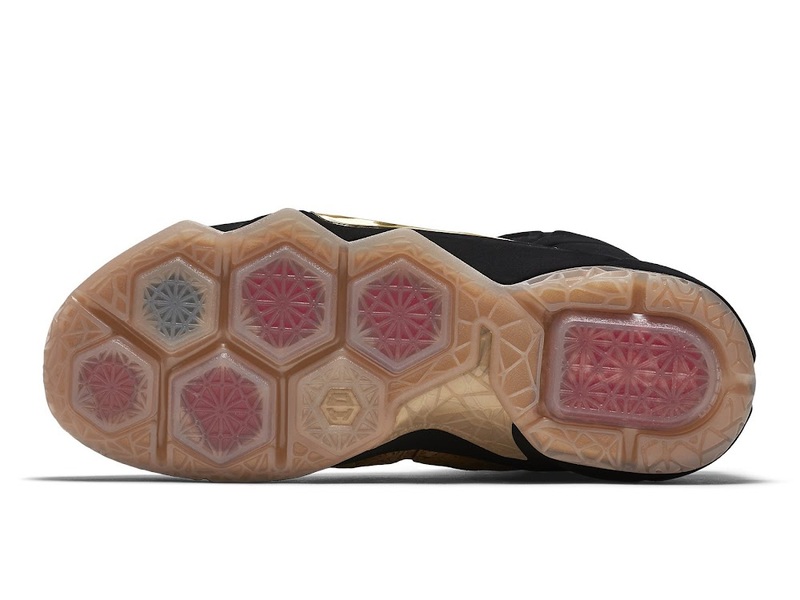 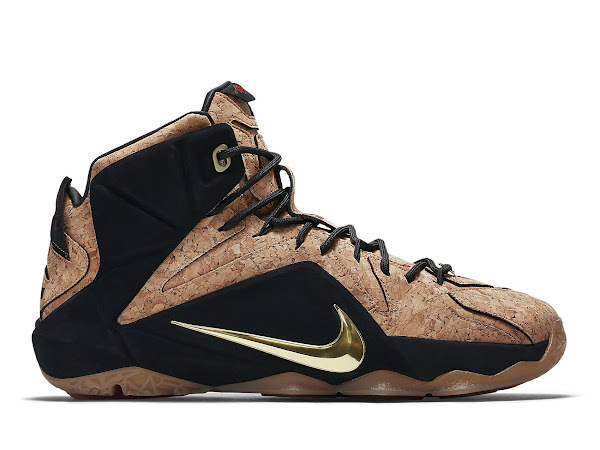 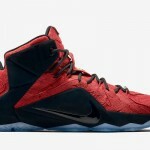 With only two more pairs to go… we take a closer look at the LEBRON XII EXT CORK, which is slated for tomorrow. 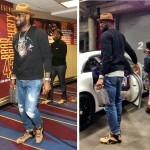 The whole LeBron 12 EXT line up has been pretty impressive and Nike decided to release 6 different colorways this year compared to only 3 last year for the LeBron 11 EXT and 4 styles in the initial year for the EXT series with the LeBron 10 EXT. 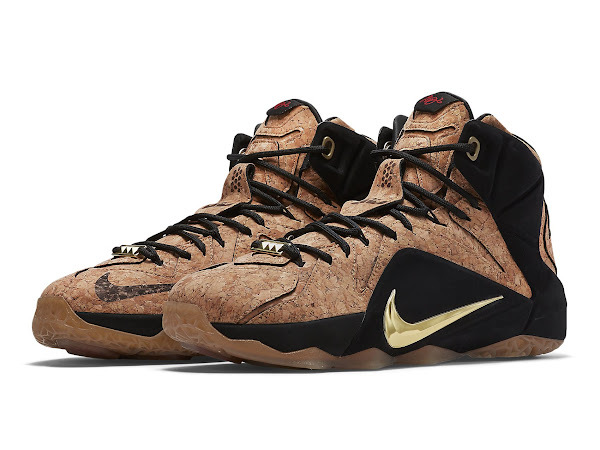 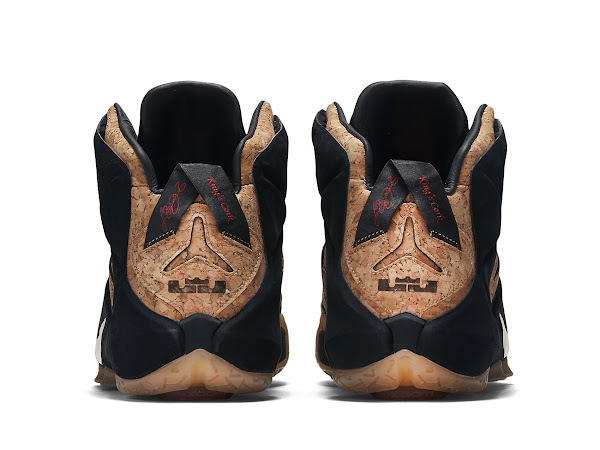 The King’s Cork, as it’s seen on the heel tab, colorway features a premium Cork upper, Black Hyperposite wraparound and hits of Metallic Gold hits on the swoosh and lace decorations. 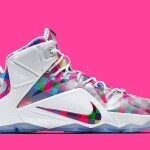 This special colorway will be available tomorrow at Nike Sportswear / Basketball retailers. 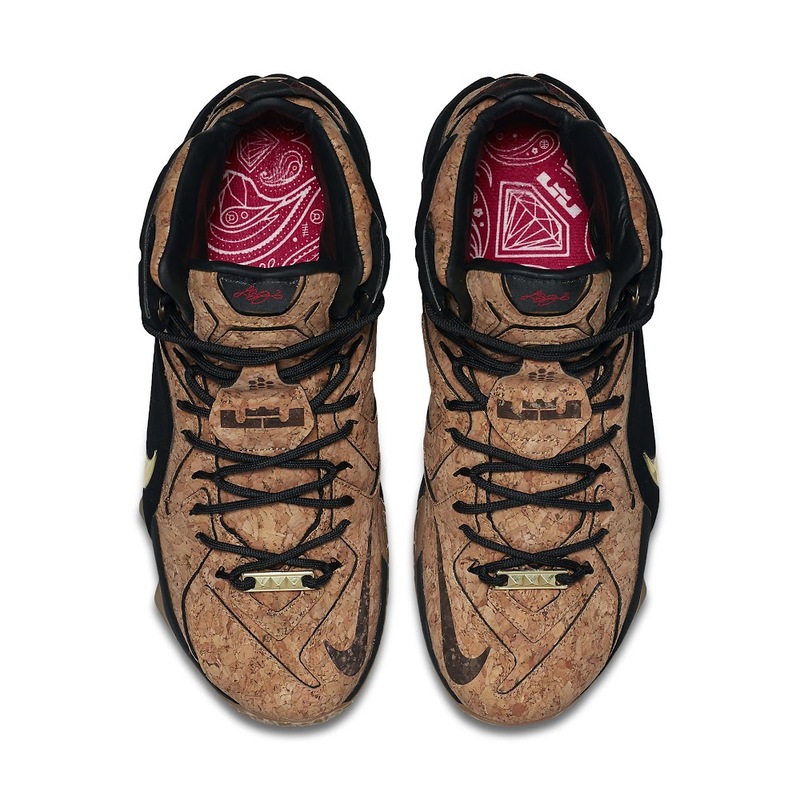 It’s definitely not super limited so everybody who’s willing to spend $250 on the Cork 2.0 should be able to get a pair. 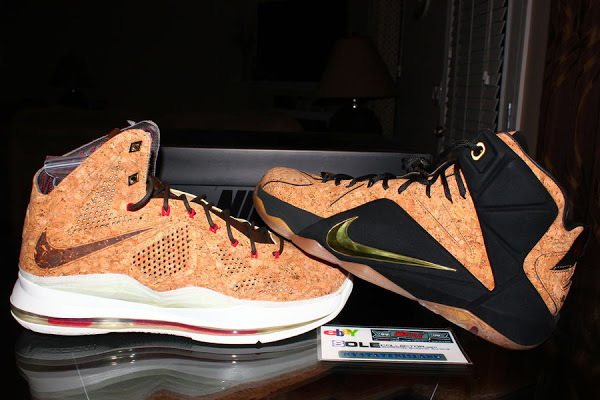 Check out the new pics below.